From new colors and thinner wires to transparent aligners – braces are better than ever! Teeth-straightening was first considered by ancient philosophers Hippocrates and Aristotle as early as 400 B.C. But it wasn’t until the 1700s that French dentist Pierre Fauchard used a horseshoe-shaped piece of iron that he called a “bandeau” (a form of the old French language meaning “tiny band”) that the modern concept of braces was put into practice. However, their widespread use didn’t occur until the mid-late 20th century, and has been most prolific in North America. In fact, the number of people with braces doubled in the U.S. between 1982 and 2008. While the majority of these patients are 11-17 years old, the numbers of treated adults during those same decades increased by 25%. American Dental Association has reported that 70% of treatments are done on females, and largely for aesthetic reasons, as opposed to medical/dental conditions. Modern advances have allowed braces to become less obvious, with the prevalence of clear aligners such as Invisalign® and other transparent options. Treatment usually lasts from 18 to 36 months, depending on the severity of problems and treatment goals. It requires a commitment from both the patient and parent. 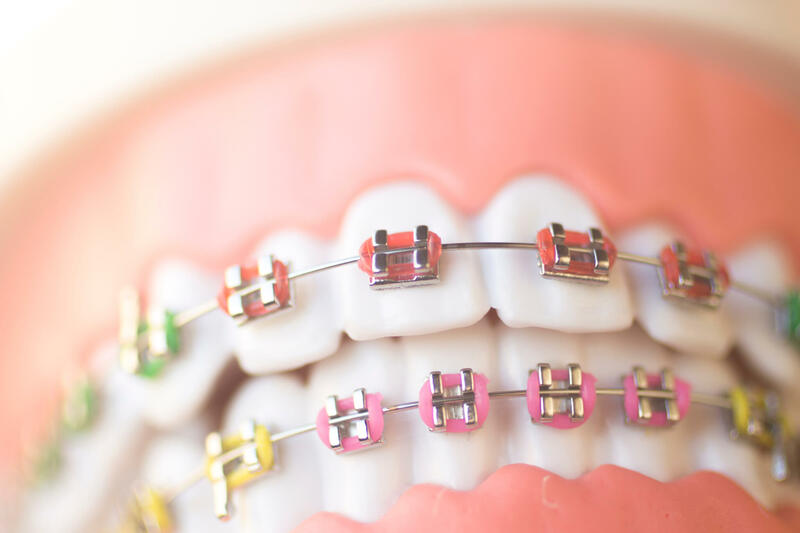 According to the American Association of Orthodontists, the biggest treatment challenge after fitting the device is to protect both braces and teeth from damage. The good news is that these goals can usually be achieved through diet adjustments and proper cleaning. Skip the Soda— Soft drinks deliver a deadly combination of acid plus sugar that can become concentrated on tooth surfaces around brackets. Avoid Extreme Textures— Hard, sticky, chewy or crunchy foods can damage or dislodge the thin metal components. Don’t Chew Ice— While this is never good for your teeth , it’s an especially risky habit with braces. 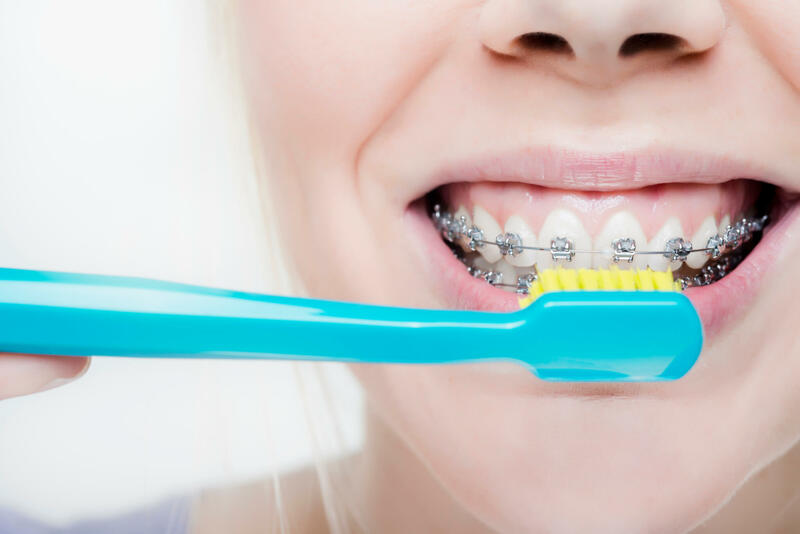 Cleaning with braces is more important than ever. Obviously, it is harder to clean an intricate metal framework than it is flat, smooth surfaces of your natural teeth. Your orthodontist will give you specific direction on how to brush, floss, and clean. Dr. Meyer and Dr. Johns also have tips and tools to help — just ask us at your next visit.